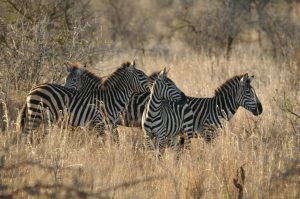 It is hard to say one among all safari itineraries is the best Tanzania safari, but with the expertise that our travel expert posses and with you defining what you want in a safari tour or what interests you, we can easily customize for you a tour that will turnout to be the best Tanzania safari tour. Tanzania, with the most sought after safaris being those in the northern Safari circuit followed by the Southern Safari Circuit then the Western Circuit where few people interested and with the requisite budget venture in the far flung corners of the country for Primate Safaris. Prices for the safaris depend mainly on the number of persons coming with you, number of days spent on the tour, and accommodation used during your tour. You can Sample a few of our best Tanzania Safari tours itineraries which we deem famous with most clients who have traveled with us in the past. All of them can be customized to your requirements and to meet your budget, needs and interests. One of them is our 4 Days safari in Northern Tanzania including the two most famous wildlife hot spots of the country, namely Serengeti National Park and Ngorongoro Crater. This tour can be done staying in standard luxury, or mid-range lodges and tented camps but can also be done as a basic camping safari. The other one is our regular Two weeks Safari in Tanzania with beach extension in Zanzibar Island. This can be done by all people of all age groups, and it is also suitable for honeymooners. We also have a special 12 days honeymoon safari in Tanzania and Zanzibar beach for the newlyweds. Starting from Dar es Salaam we have a 5 days Safari combining in Selous Game Reserve and Mikumi National Park , but for those who are short of time ; like the business travelers in Dar es Salaam you may like our 3 days Safari in Mikumi National park or our Selous Safari for 3 days also. Prices for the safaris depend mainly on the number of persons coming with you, number of days spent on the tour, and accommodation used during your tour. We hope to see you in soon as we customize your best Tanzania safari.